As a subcontract motorsport machine shop, Alitech Precision Ltd is a company that is rapidly evolving and this is credit to its aggressive investment programme, enthusiasm and love for all things motorsport. Since its inception little over three years ago, the Silverstone Company has purchased three HAAS machining centres, OPEN MIND CAM software, a simultaneous 5-axis Spinner machining centre and cutting tools from Industrial Tooling Corporation (ITC). Like any subcontract business in its infancy, the team at Alitech Precision has acquired its machine tools and peripheral equipment based on expert advice, trial and error, conferring with customers and competitors alike and personal experiences. 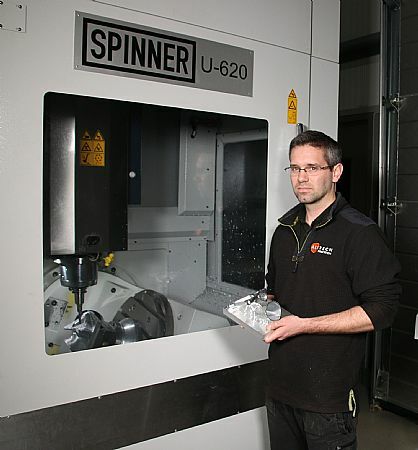 It is these factors among others that led the Northamptonshire business to implement hyperMILL CAM software, the Spinner U-620 5-axis machine and solid carbide cutting tools from ITC. Whilst the ‘design to manufacture’ subcontractor utilises cutting tools from a variety of suppliers, it is Tamworth based ITC that has stood out for special tools and end mills for machining steel components. The relationship between Alitech and ITC started just over 18 months ago when the Alitech team encountered tool life and performance issues with an existing tooling vendor when machining steel. The Alitech engineers were exercising a ‘trial and error’ process that was proving fruitless. Alitech picked up the phone to ITC and local ITC engineer Mr Gary Bambrick was immediately on-hand to advise. Since the initial trial success, Alitech has now widely implemented the ITC 4081 Series for steel jobs and titanium parts, purchasing 4, 6, 8, 10, 12, 16 and 20mm diameter end mills. The 4081 Series is an AlTin coated four flute solid carbide end mill with a harmonic flute geometry that provides excellent swarf evacuation. This is credit to the radical unequal spacing on right hand helix flutes that deliver exceptional stability and metal removal rates. 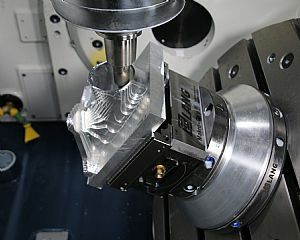 Whilst the flute spacing of the 4081 Series significantly reduces machining noise by eliminating the harmonic effect, it is the small corner radius, innovative geometry design and sub-micron grade carbide composition that makes the 4081 Series a market leading tool for the efficient machine of difficult to cut steels and titanium alloys. With regard to machining performance on aluminium, Alitech is more than happy with its existing vendors. However, when it came to the profile machining of deep port pockets, it was ITC that stepped up to the challenge with its industry leading lollipop cutters. 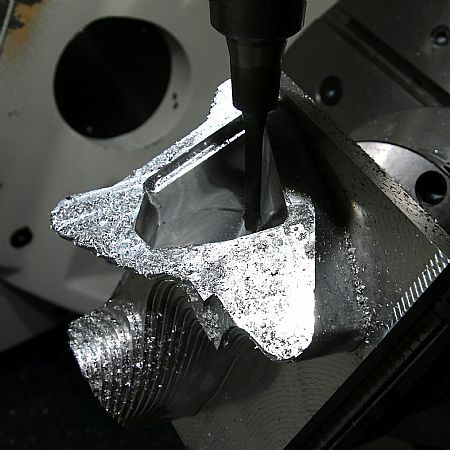 The majority of projects undertaken by Alitech involve the complex simultaneous 5-axis machining of parts such as billet inlet manifolds, valve seats, inlet port heads, billet turbo manifolds and much more. Reaching deep into ports is a complex challenge for the machine tool kinematics, the CAM software, the cutting tools and toolholding. At the sharp edge is the ITC 4101 Series of lollipop end mills that permit Alitech to reach surfaces around corners and deep inside manifold ports. At present, the Silverstone subcontractor is collaborating with a high-performance tuning company to increase the power of an Audi RS6 to upwards of 1000bhp. To achieve this monstrous power level, Alitech is manufacturing new intake manifolds that are central components to a full intercooler conversion. To machine the manifolds with impeccable precision levels and surface finishes, Alitech has once again deployed the ITC 4101 Series 12mm diameter lollipop tools.